Dubai: Passengers travelling between the UAE and Kuwait have been facing travel disruptions today after severe weather led to cancellations and delays on flights. UAE carriers Etihad and flydubai confirmed to Gulf News that some of their planes plying the Kuwait route have to stay on the ground due to unstable weather conditions in the Gulf state, but bigger planes are being deployed to accommodate stranded flyers. With the flight cancellations, flyers have to endure long waits at the airport. Airlines assured they are minimising the delays as much as possible. Flights arriving in Kuwait on Thursday are being redirected to other airports in nearby states, such as Dammam and Riyadh in Saudi Arabia and Manama in Bahrain. Kuwait has been experiencing severe weather conditions for days, which have resulted not just in stoppage of air traffic at the country’s main airport, but cancellation of work in the private and public sectors as well. 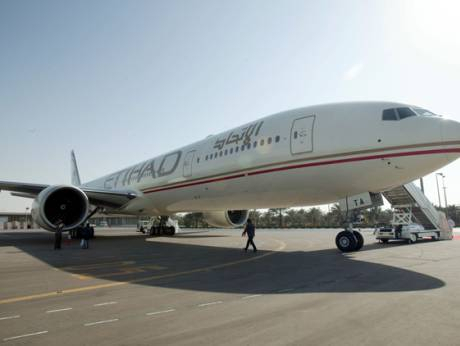 Headquartered in Abu Dhabi, Etihad said at least two flights from the UAE capital to Kuwait International Airport, EY305 and EY301 have been cancelled. The return flights, EY306 and EY302 have been suspended as well. All affected flyers have been moved to EY303 and EY304 that are operated by a wide-bodied aircraft. "All affected guests have been transferred onto flights [that have] been upgraded to a wide-bodied aircraft. In the meantime, we are providing our delayed guests with food and refreshments,” an Etihad spokesperson told Gulf News. Emirates said all its flights to and from Kuwait have been cancelled today as well, but operations will resume tomorrow, November 16, subject to the reopening of the country’s airport. “Customers travelling to and from Kuwait are advised to check emirates.com for updates,” the airline said in a statement. Budget carrier flydubai said the adverse weather conditions have also caused delays to their flights and "some cancellations."